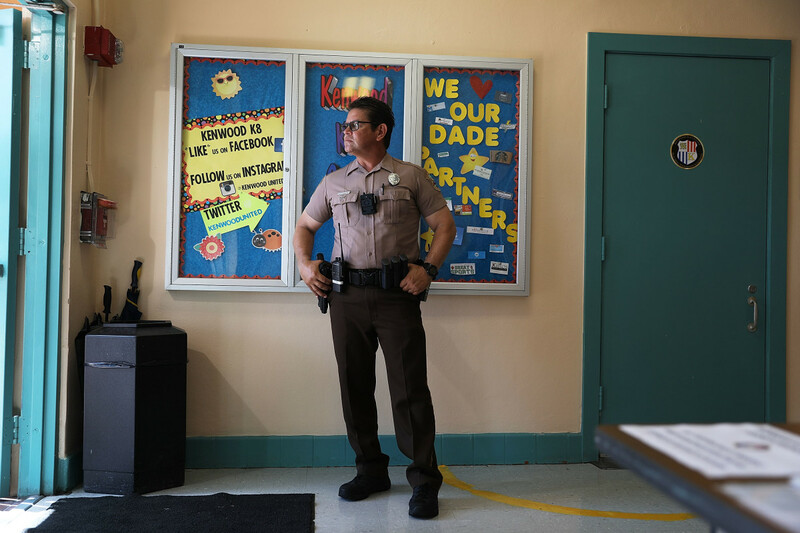 A Miami-Dade Police officer stands guard at the front entrance to the Kenwood K-8 Center in August of 2018 in Miami, Florida. 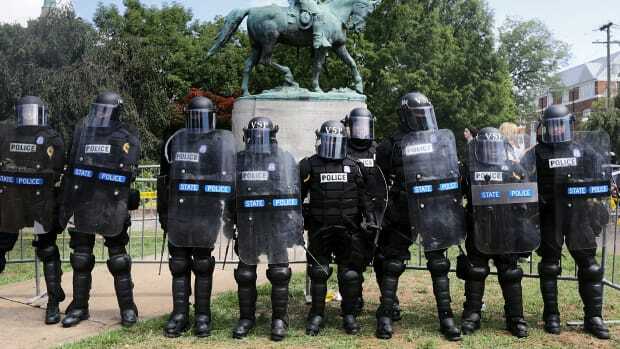 In addition to armed police officers being present on school campuses, the school system has installed 15,000 high-definition cameras connected to a central command post as well as the Raptor system, which allows school personnel to check the criminal history of each school visitor. In the year since the shooting at Marjory Stoneman Douglas High School in Florida that killed 17 people and wounded five, the reaction by both state and federal legislators has largely followed the pattern of past mass shootings: increased spending on policing and security equipment in schools that research shows does not make students safer—and that disproportionately harms non-white, disabled, and queer students. "Since Parkland, there&apos;s been a lot of discussion from government entities around increasing law enforcement presence in schools, and that&apos;s unfortunate. It doesn&apos;t help students, and there are better ways to create safe environments," says Marc Schindler, director of the Justice Policy Institute, a non0profit that advocates for criminal justice reform. 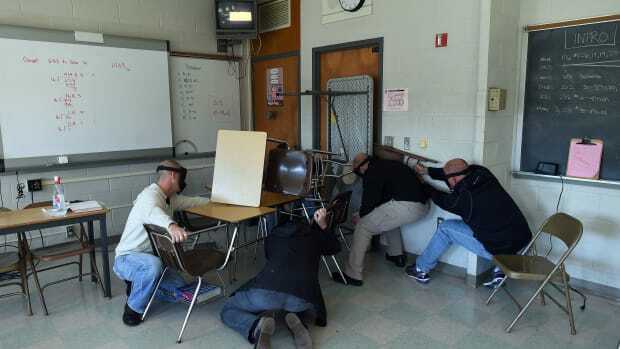 As of October, 20 states had guaranteed $450 million in school-security spending in the wake of Parkland, according to the Associated Press. Democrats Used to Disagree About Gun Control. 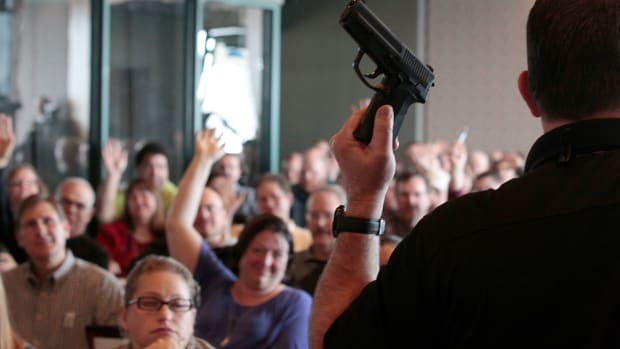 The 2020 Candidates Don&apos;t.
Less than a month after the shooting, Florida rapidly passed the Marjory Stoneman Douglas Act, which requires that a police officer—or "armed school employee"—be stationed in every school in the state. The bill also included some relatively minor additions to gun-control restrictions, including the banning of bump stocks. Only 17 percent of the bill&apos;s $400 million funding was allocated to mental-health programming; the majority went to increased security and surveillance. Neighboring Georgia took similar action soon after, adding $16 million more to annual spending on school security. And, last month, Governor Brian Kemp announced a program allocating $69 million for "school security grants." The plan places a mental-health counselor in each school, but Georgia&apos;s spending also focuses on security: Every school will receive $30,000 to spend on police officers, metal detectors, and security cameras, according to the Atlanta Journal Constitution. The plan also commits $500,000 to an anti-gang law enforcement initiative. In Kentucky, where two students were killed and 18 wounded in a school shooting a month before Parkland, the state legislature is currently considering a school safety bill that creates the statewide position of "school security marshal," criminalizes threats and hoaxes called in to schools, and focuses on training of police officers therein, according to the Louisville Courier Journal. The bill also promises schools more mental-health counselors and police officers for schools "as soon as practicable as funds and qualified personnel are available." No funds have been made available to date. "What we&apos;ve seen with Parkland is what we&apos;ve seen as a response to most, if not all, school shootings: politicians as a reaction call for more security measures, especially more police," says Judith Browne Dianis, the head of the Advancement Project, a racial justice non-profit that released a massive report last fall on the effects of police in schools. Currently, about half the students in the United States attend a school with one or more full-time police officers stationed in the school, according to Cleveland State University social work professor Christopher Mallett, whose research focuses on juvenile justice and schools. States and school districts vary widely in the terminology—and specifics of bureaucratic oversight—for their police in schools. Many are called by euphemistic names like "school resource officer" (SRO). Some are employed directly by the school, while others are provided by the local police precinct, or the county sheriff. The first permanent assignment of police in schools was in 1953 in Flint, Michigan, and similar programs expanded throughout the 1960s and &apos;70s. Still, by 1975, only 1 percent of schools in the U.S. reported a permanent police presence, according to an Advancement Project report. However, in the &apos;90s, legislation began to increase funding for police in schools, beginning with the 1994 Gun-Free Schools Act. That law created the Office of Community Oriented Policing Services, which provided over $750 million in funding for 6,500 new police officers in schools between 1999 and 2005 alone, with much of the increase following the 1999 shooting at Colorado&apos;s Columbine High School. "Columbine was a big moment," Schindler says, of police in schools. "There have been increases since then—though it&apos;s leveled off a little bit—but after each high-profile school shooting, the amounts go up." Dianis notes those increases almost always occur in schools unaffected by school shootings. "Columbine&apos;s school district did not opt for more police. Newtown [the site of the 2012 shooting at Sandy Hook Elementary School] did not act to add more police," she says. "So you have school districts that weren&apos;t affected by mass shootings, but broadly believe in the criminality of students of color." School suspensions and expulsions have increased fivefold since 1980, an increase that has come with the decades-long increase in school policing; disciplinary proceedings initiated by SROs, as with the justice system outside of schools, are implemented more harshly and more frequently with students of color. Not only are black, Latino, and low-income students punished at much higher rates than their whiter and wealthier peers, but they&apos;re also more likely to be arrested. Disabled students, a 2016 American Civil Liberties Union report on California schools found, are three times more likely to be arrested than their peers. School policing is "still very disproportionately harming students of color, students with learning disabilities, and the students who identify as LGBTQ," Mallet says. Although school policing and other security measures harm many students without increasing safety, they do provide one powerful benefit: making the loudest voices feel safer, according to Mallett. "In suburban, white schools that have had positive relationships with police, parents and teachers feel safer," Mallett says, "and it doesn&apos;t affect crime or school shootings in a positive way, but it doesn&apos;t make it worse." However, that feeling of safety doesn&apos;t translate to students, even white ones. Schindler notes that research shows that a heavy police presence in schools actually has the effect of making kids feel less safe. 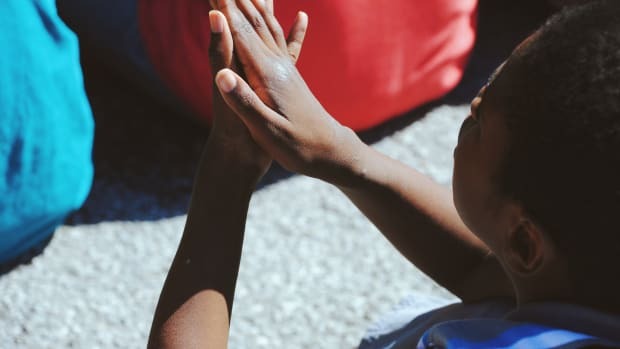 "The most important thing is to identify where they feel comfortable behaving with adults, where they can share concerns, and where they can be identified if they need help," he says. Despite some of the security increases post-Parkland, Mallett thinks school districts—if not state legislators—are finally beginning to better understand how to make schools more hospitable and safe for students. "They&apos;re finally starting to see the light, that you don&apos;t have to just stick police officers in school," Mallet says. "The schools are realizing, &apos;holy shmoly: we&apos;re kicking everybody out, and it&apos;s not working.&apos;"
For the one-year anniversary of the Marjory Stoneman Douglas High School shooting in Parkland, Florida, Pacific Standard looked at gun-violence solutions coming from the federal government, and, in lieu of those, the efficacy of a variety of local and non-governmental proposals. What could a president actually do, without congressional consideration, during a state of emergency declared over gun violence? Read the story here. 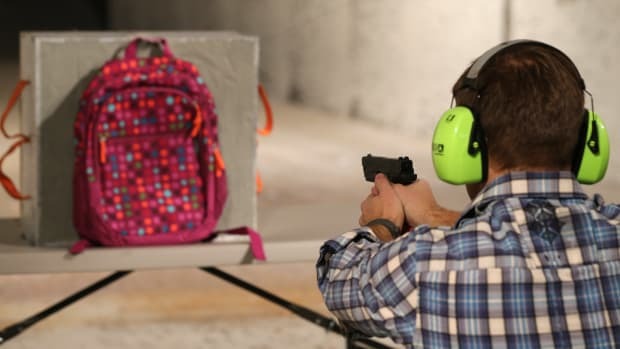 Desperate to minimize the threat of school shootings by any means possible, schools and parents have invested in a whole array of new products in the burgeoning school-safety industry. Read the story here. 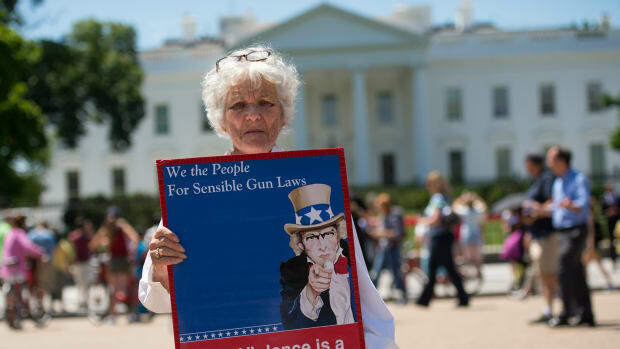 While gun control remains hotly contested, using public-health approaches to deal with gun violence remains politically neutral. Could these approaches curb violence? Read the story here. In the run-up to the 2020 election, there&apos;s just not all that much variance among the Democratic candidates&apos; positions on guns. In the field, pretty much all the major candidates are committed to gun control. Read the story here. With the exception of the 113th Congress, the 116th Congress has introduced almost three times as many gun-control laws in their first month as any other recent new Congress. Read the story here.